Its atmospheric canals may be frozen (or perhaps now melting? ), its wooden clogs uncomfortable on the feet, and its multi-coloured fields of tulips yet to burst into life, but Holland has so much to offer, especially to art lovers like myself. I’m not overly familiar with the Netherlands – I went once on a geography field trip at school, when we concentrated on the art of land reclamation and urban morphology, but it has always saddened me that I never had time to appreciate the cosmopolitan, thriving city of Amsterdam and all its multifaceted cultural offerings. This weekend, all that will change, as the Daily Norm will head to Amsterdam and hopefully posts bursting with accounts of the great city, its art and its buzzing life will swiftly follow. 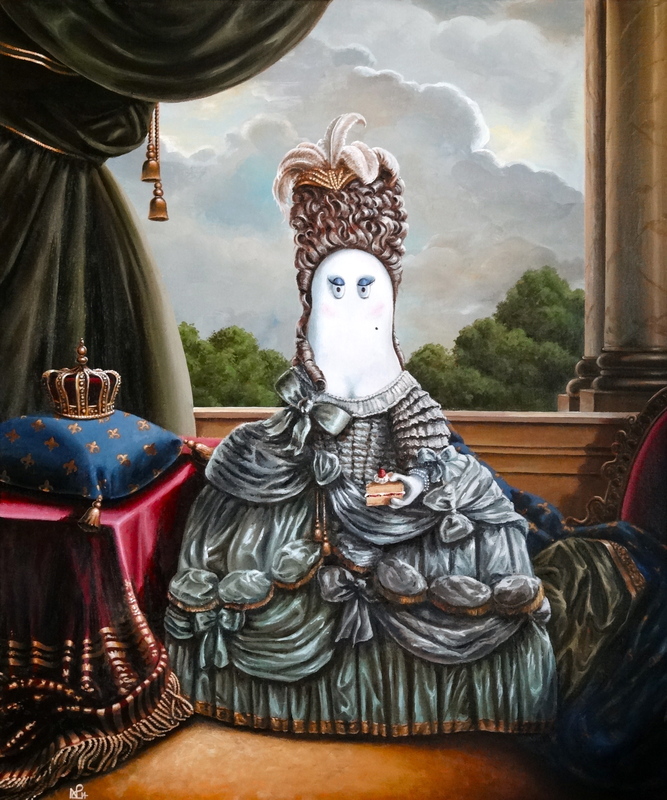 In anticipation of this exciting event, the Daily Norm is happy to launch the Dutch Masters Season, a three-part series looking at masters of Dutch art, as well as Norm reinterpretations of three Dutch masterpieces. 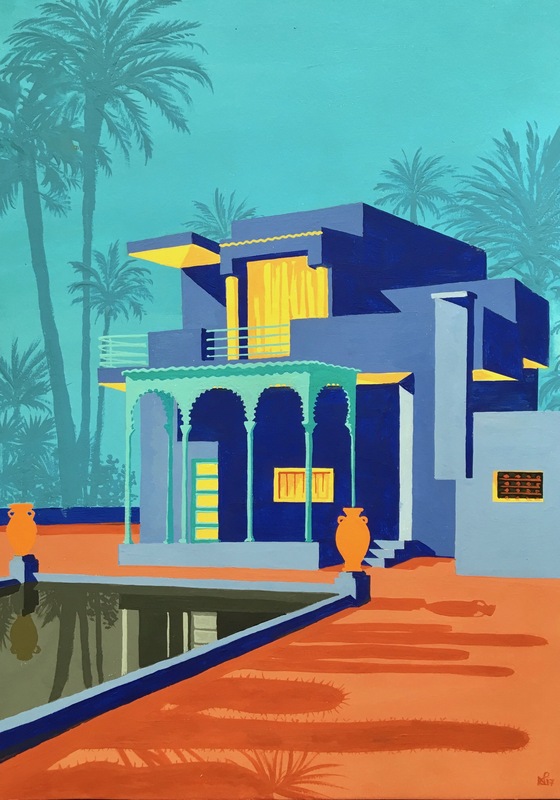 This will be followed by a Sunday Supplement examining the influence of a particular Dutch supremo on a family portrait I created in 2010, and then my trip to Amsterdam will explode onto your screens in a (hopefully) spectacular fashion. 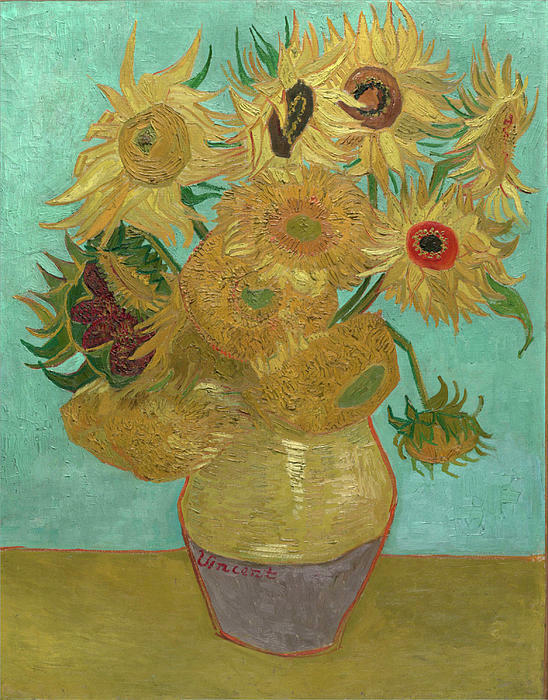 So, without further ado, let us begin this brief cultural survey of Dutch artists with this feature on a painter who is without a doubt the most famous Dutch master of them all… the indomitable sunflower-loving, paint-eating, ear-lopping saviour of colour, Vincent Van Gogh. 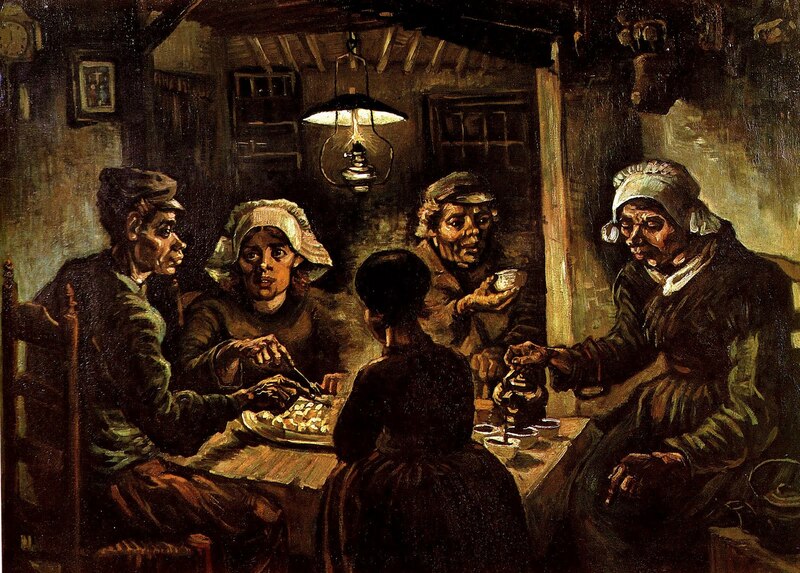 So why did this particular Van Gogh work inspire me? (After all, there are countless Van Gogh portraits to chose from, as well as a number of portraits of the local postman, the doctor, Gaughin’s chair and the like). Well to start with, this painting lives close to home for me, part of the wonderful collection of London’s Courtauld Institute, where more often than not, you can get this portrait, as with many of the other impressionist masterpieces in the collection, all to yourself, while Van Gogh’s Sunflowers, kept down the road at the National Gallery, is surrounded by a permanent semi-circle of tourists and school groups. 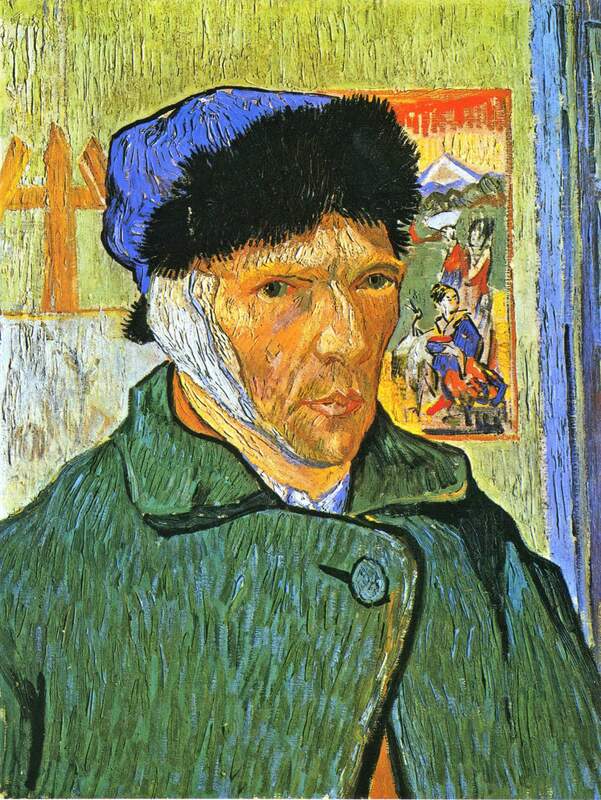 But then there’s the bandaged ear, which is after all emblematic of the legend that is Van Gogh. It happened one dark night in December 1888. Paul Gauguin, the tumultuous Tahiti-loving artist was staying with Van Gogh in the Yellow House in Arles, Provence. They argued savagely and Van Gogh came at Gauguin with a knife. At the last minute he turned on himself, cut a chunk out of his ear, and attempted to gift it to a local prostitute who sensibly alerted the authorities thus probably saving Van Gogh from bleeding to death. This painting, one of two containing the bandage (and therefore suitably amplifying the tale), was painted a month later in the comparable calm of post-cataclysmic reflection, with Gauguin gone, and Van Gogh all alone, once again, staring in the mirror in contemplation. 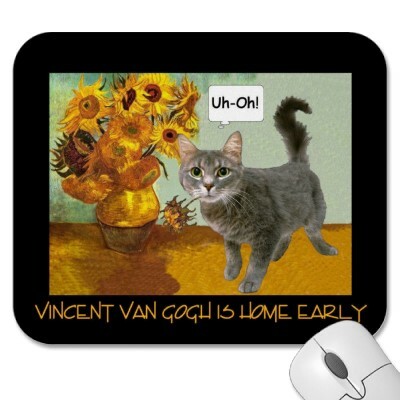 For me, it’s the perfect Van Gogh, because it gives us snippets of everything he represents. Broad, almost vibrating brush strokes expressing the rawness of his emotions, and the vigour and haste with which he sought to express his feelings on the canvas. A colour palette which is bold, unforgiving, almost happy despite the downbeat subject portrayed. On the wall hangs a japanese print, a recognition of the great influence of Japonisme in his work, while to his right, an easel and canvas is in progress – here I have used a bit of good old artistic licence, adding the sunflowers which are so equally emblematic of Van Gogh – just in case you weren’t immediately sure who I was referencing with this painting! 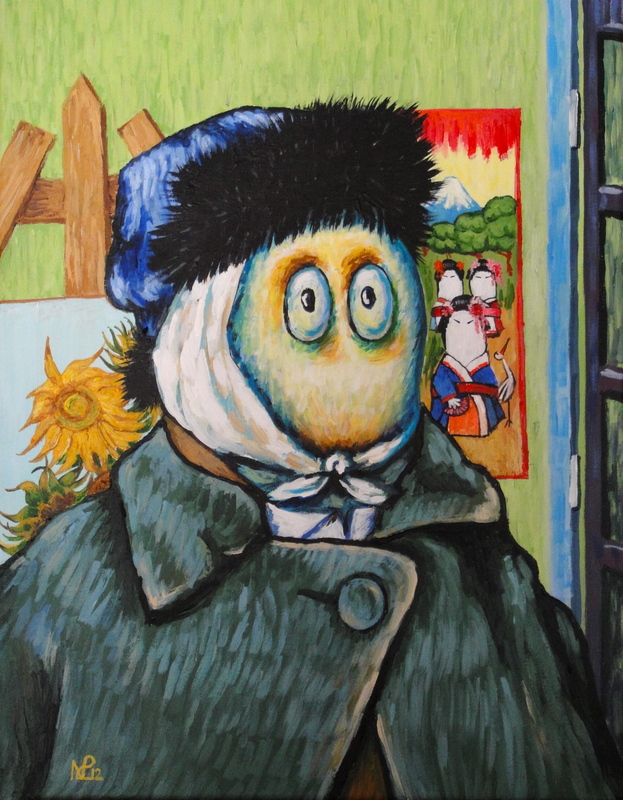 In this way, the warmth of Provence contrasts with the coldness of winter portrayed in the artist’s thick coat and strange furry hat, an outfit which appears to isolate Van Gogh from the viewer, enveloping him in a melancholy introspection which is shared with the audience only through the piercing gaze of his sickly green eyes. Well there you have it – and it looks like I had a lot to say after all. For me, Van Gogh is a master. 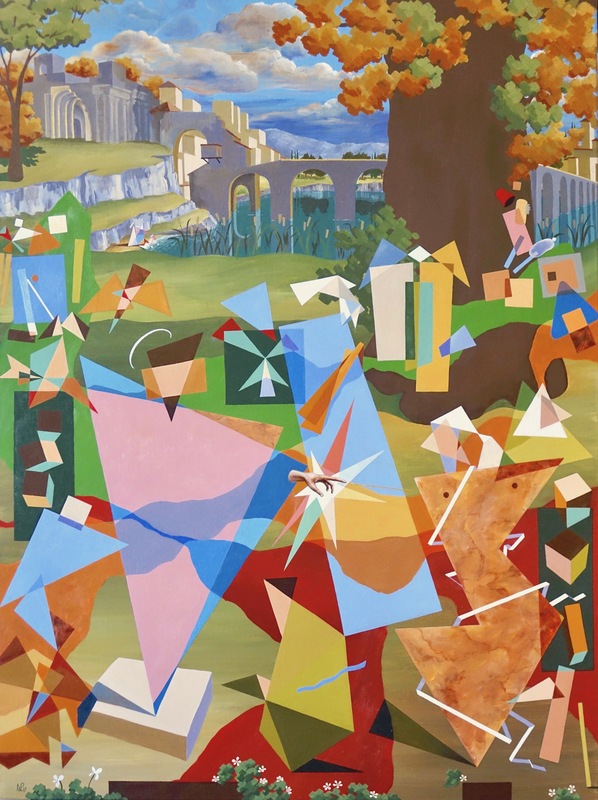 Sometimes his works are criticised for being overly loose, coarsely painted and unsophisticated. But you only have to look at his early portraits of peasants, such as his saturnine masterpiece, The Potato Eaters, to recognise his skill as a draftsman. Rather his coarse, thick application of paint allowed him to paint fast, and this was crucial in allowing him to express his vigorous and volatile emotions on canvas, as and when they moved him. And it is this living, breathing, unforgiving emotional intensity which remains so evident in his canvases today in every decisive and quivering brush stroke, capturing audiences and inspiring biographers and curators aplenty, whether it be through sunflowers, cypress trees or in the sorrowful eyes of his many self-portraits. This is why, to my mind, Van Gogh is a true Dutch master. Come back tomorrow for Dutch Master number 2. Postscript: In case you were wondering, no, Norms don’t have ears, but that doesn’t mean that this Van Gogh pretender couldn’t have inflicted a grizzly wound on himself in the same general area! Enjoy your weekend 🙂 you will LOOOOOOOOOOVE it!! !